The Bright Colonial Motel is a freshly-renovated luxury motel, updated with quality new furnishings, enticing modern facilities and elegant décor all served to you with the meticulous attention and warm hospitality you would expect from a young family-owned business. 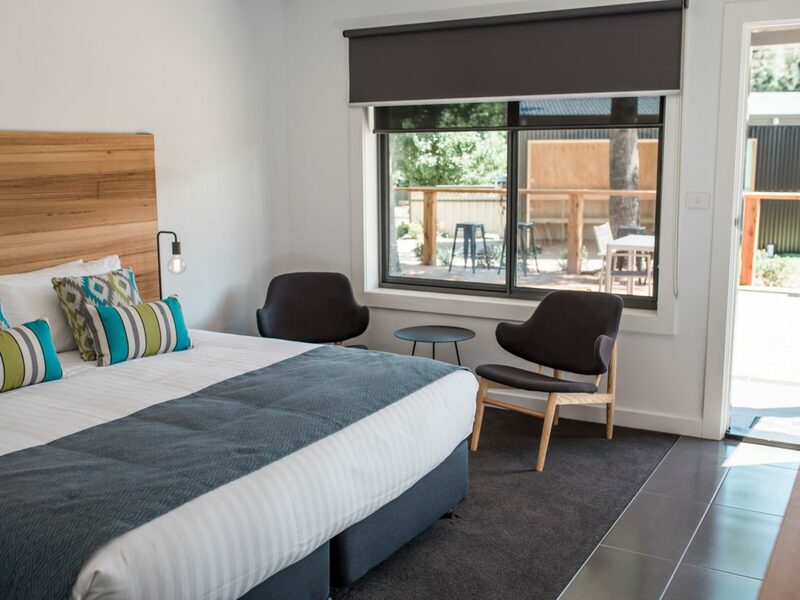 Ideally suited for couples, cyclists, mature travellers and groups, Bright Colonial Motel offers contemporary studio accommodation in the bustling centre of Bright. Enjoy the poolside pavilion, complete with barbecue, pizza oven, and communal wooden tables perfect for sharing the delights and adventures of your day. 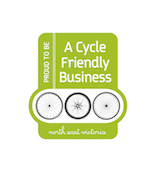 If you are coming to cycle, mountain bike or ride the rail trails, the Bright Colonial Motel offer cycle-friendly accommodation including dedicated bike wash bay, bike maintenance bench with pump, and custom-built, fully-enclosed bike security shed with individually-lockable racks. The recently refurbished King Suites offer contemporary motel accommodation in either a King sized bed, or two Single beds. The Suite has a kitchenette complete with Nespresso coffee machine and modern bathroom. Each Deluxe King Suite has a large LCD Smart television with Netflix. Newly renovated, the Deluxe Twin Suites feature two Queen beds, making it a great option for those wanting separate beds. The Suites also feature a Kitchenette with separate sink, microwave, Nespresso coffee machine, toaster, kettle, and cutlery and crockery. All rooms have a large Smart television and are Netflix enabled, individually controlled split systems in each room, and a modern and functional ensuite. For those wanting a little more seclusion, the Deluxe King Suites with Private Courtyards are perfect. Enter the room through your garden courtyard, with deck, built in day bed and cushions, and outdoor tables and chairs, surrounded by Capital Pear trees and Star Jasmine. The Suite itself features either a King bed or two Single beds with luxurious linens, a seating area for that morning coffee, kitchenette and ensuite. Perfect for two adults. Fully renovated in 2017, the Deluxe King Suites with Private Hot Tub offer that added touch of luxury. Set within your own courtyard with outdoor dining table and sun lounge, is your own, large private Hot Tub. Set to 38 degrees, it is perfect for a long soak after a day on the slopes in winter, or a strenuous day riding the many hills around Bright. Inside, you have the choice of a King sized bed, or two single beds, large television, split system, kitchenette and ensuite.